If you see my wife today . . .
. . . compliment her on her tolerance, for putting up with me for 32 years so far. I’m sure it’s not easy as it might appear to be the Trophy Wife™. Kathryn deserves all the compliments she might get. Kathryn and me. checking out local history at the Grassy Knoll , next door to the Sixth Floor Museum in Dealey Plaza, Dallas, in 2011; photo by Darrell Knowles. Really. Thanks to gracious readers who have clicked 3.4 million times on those 4,000 posts. Great thanks to the one-in-a-thousand who leave a comment. We work for accuracy here, and comments pointing us to new information and better information always help. Please tell your friends to come over and give us a piece of their mind. Surely they can find some topic here on which they have an opinion. Or get a cup of coffee, or an ice cream cone, and relax. Porlock is a village in Somerset, England. I wonder, where does he get the "Porlock, Jr." moniker? 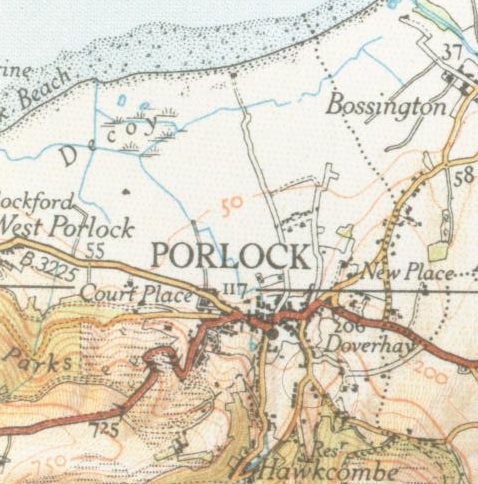 This is a 1937 map of the village, Wikipedia image. It’s been a rough couple of months, personally, away from the blog. 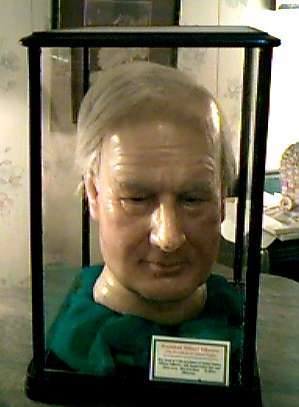 So I’ve got the two lowest-posting months in the history of Millard Fillmore’s Bathtub, back to back. Regrets, and apologies to faithful readers (especially to Porlock, Jr., who is having some bizarre difficulties leaving comments which may require a trip to WordPress HQ in San Francisco to work out — any excuse to visit the City by the Bay, eh?). I’ll try to clean out the drafts-to-be-posted bin, and otherwise get some life in the old Tub for you, faithful readers. It’s not that there aren’t things that need to be blogged, nor that I haven’t had anything to say about events. Not enough time to get everything else done, and find time to write. I’ll try to mend that issue. Thanks for hanging with us. Wish me luck with the off-blog stuff, will you? Thanks. Would have, could have, should have been a great week, especially with those 11-, 12- and 13-year old Scouts showing so much moxie and understanding of Constitutional rights and history on Monday night. 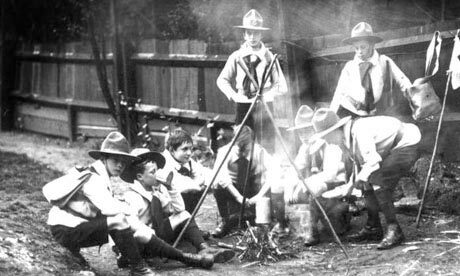 Photo from The Guardian: British boy scouts around a fire, 1910; Boy Scouts provided boosts in morale, and solid security work around Britain's perimeter during World War I. They couldn’t have had my back the rest of the week, though, and I’ve got wounds to nurse as a result. Sorry about the pause in postings. “Rhapsody in Blue” with the Dallas Wind Symphony on Valentine’s Day; next week looks better. The First American, Ben Franklin, was born on this day in 1706. Exactly a century later, Thomas Jefferson’s daughter, Martha, bore James Madison Randolph, the first child born in the White House (fitting that Thomas Jefferson’s grandson would be named after James Madison, no?). And in 1990, James Darrell was born in Dallas, Texas. We get our first freeze of the season in Dallas tonight. I’m thinking of the heat of the summer. 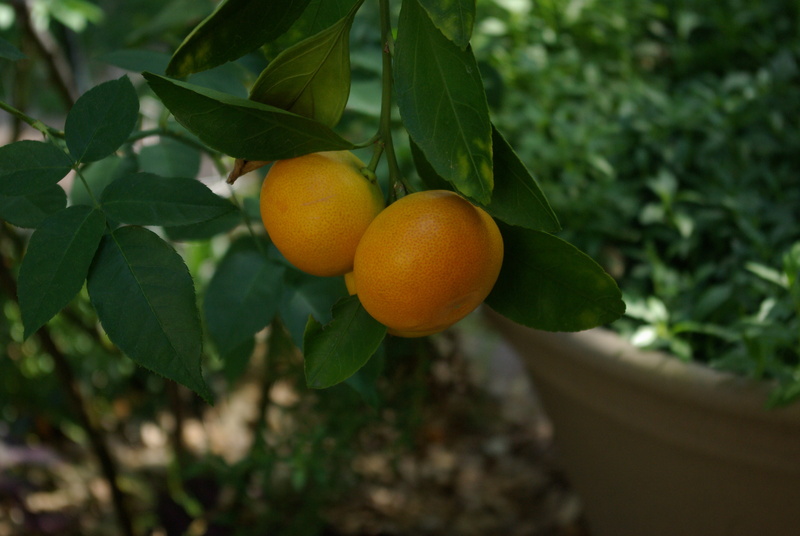 Kathryn gambled a bit, bought a Satsuma orange tree for the patio plant menagerie this summer. To her joy and my utter surprise, it fruited. Green fruit approached its final size in late June, then tortured us as it just sat there, green and unripe. They turned orange slowly, through August and September. An occasional individual would give up and hit the ground. So we had samples — bitter at first, hints of sugar in September. Two weeks ago Kathryn harvested a score of the little beauties. Through the summer the oranges rested there, teasing us with their sloth . . .
First freeze tonight, but we enjoyed the last of the oranges this morning. Horticulture teaches patience. Horticulture is fun. Shouldn’t have been so suprised. 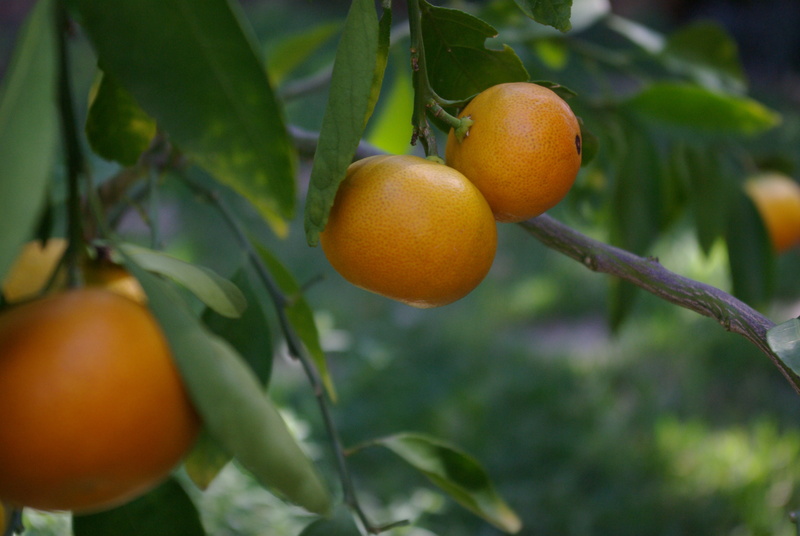 Satsuma (Citrus unshiu) are among the cold hardiest of the oranges. That’s about a month’s traffic on P. Z. Myers’ blog, Pharyngula (I’m estimating wildly); that’s a couple day’s traffic on Anthony Watts’ blog, Watts Up, even though most of the time you can’t find out what’s up from that blog, even if you need to know just the facts. Truth takes longer, even for a guy who writes quickly and can post non-stop, like Myers. For those few readers who have stuck it out, thanks. For those new ones, stick it out for a while. To all of you: Hey, would it kill you to leave a comment when you drop by? Thank you. Thank you a lot. Thanks, and come again soon. ** No, it’s not really from Futurama (but wouldn’t that be cool — Filllmore and Nixon together?) I linked to the photo at Presidents “R” Us.com — but they were kind enough to link to that same photo at the Bathtub, earlier.